We offer the perfect pest control solutions for your home or business with one off solutions to pest control contracts. No matter what the infestation, we know you want it sorting quickly. Confirm a Kill are your solution to all pest problems. Confirm a Kill are a leading pest control company covering Nottingham and the surrounding area. We are members of both Prompt and NPTA and all our work is fully guaranteed to provide you with total peace of mind. We have over 25 years’ experience dealing with unwanted pests. Our discreet and professional service is used by both homeowners and businesses across the county. All of our pest control services start with a free, no-obligation assessment. Once we understand the issue we will then provide a competitive quote which is covered by our price match promise. This guarantees you the lowest price for the work. If you should find a like for like service that is cheaper then we will happily match it. We work in accordance with all legal requirements and cater for rats, mice, fleas, bedbugs, wasps and bees, and many more pests you may find in your home or business. We also offer pest control services including bird of prey and pigeon deterrents, bird proofing of properties and specialist fogging and UV treatments to eradicate flies and insects. No matter what the infestation, we know you want it resolving quickly. Confirm a Kill are your solution to all pest problems. We specialise in domestic pest control. We guarantee to get rid of any rodents and vermin that may have set up camp in your home, and will do so in an efficient and safe way to get rid of your unwanted guests. 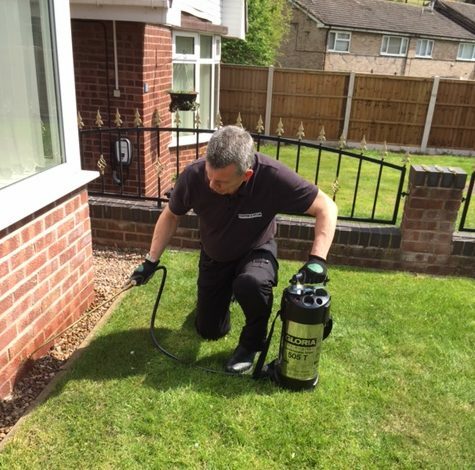 Should you need us for a one off pest control service or a monthly pest control contract, we are happy to travel across Nottinghamshire to help prevent rodents and insects from getting into your business premises.